A man who lost his home, partner and friends, due to an addiction to gambling machines has told of how he was helped on the road to recovery by The Salvation Army. Andy, 37, lost his home, friends and partner, due to his addiction to gambling machines. He was unable to get a job due to his addiction after he was made redundant two years ago. He first played on a fruit machine at the age of 17 when he won £200. He said: “One big win led me to spend thousands of pounds on gambling machines. 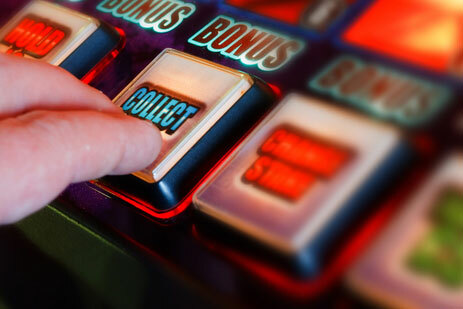 I think over the last 20 years I have lost about £30,000 to £35,000 on the machines. I would put £10 in, then it went up to £20, and then £50. When I lost my job due to redundancy as an agency worker two years ago I lied about working night shifts. “I lied to my partner, to my friends, and I would gamble any money I had in the hope I could make it right again. In March last year things came to a head for Andy, after his relationship with his partner broke down due to her constantly needing to bail him out. He ended up homeless, and decided to end his life by stopping to take the insulin he needed, to treat his type one diabetes. He said: “My lowest point was when I split up with my partner and the only thing I could control was my insulin. This attempt to take his life saw him end up at the Royal Victoria Infirmary Hospital and he eventually found himself at The Salvation Army’s City Road Lifehouse in Newcastle-upon-Tyne. The Salvation Army helped Andy get on to a 24-session NECA course (a charity working with people with addictions). It was recommended that he get himself banned from the betting shops as a self-exclusion measure, as well as changing walking routes to avoid areas with betting shops. He said: “Self-exclusion works if you’re further down the line and are committed to changing. “You have to take your photo into the bookies and ask them to ban you. “But it wouldn’t have helped me until I got to that point of wanting to recover because I wouldn’t have wanted anything to stop the possibility of my being able to access the machines. Andy has now moved out of the Lifehouse and into a Salvation Army flat although he still has support from the Lifehouse. He is now looking to move into independent living accommodation. Andy is back with his partner but accepts he can’t change the past – he won’t be able to win back the money he’s lost. Ian Monteith, Andy’s support worker, at The Salvation Army’s City Road Lifehouse, said: “When I first met Andy he was depressed and de-motivated following a relationship breakdown, homelessness through losing his tenancy, and recovering from a near fatal neglect of his physical health regarding his type 1 diabetes. “Andy’s gambling habits cost him everything that was familiar to him, as he would lie to his friends and family about where his money was going, and of course his whereabouts. “After a short time Andy and his partner were in a crisis situation, and with no rent being paid, they were both made homeless and everything about what Andy was struggling with came to light. Andy lost his home, partner, friends, family and almost his life in the space of a week. “Over the months myself and Andy worked closely together incorporating support mechanisms such as Gamblers Anonymous and NECA to help him with his recovery and rehabilitation. Andy learned over time to accept his past, build his future and accept that this is an issue he is going to need ongoing support with for the rest of his life, though at a reduced level. Introduce breaks in play or other measures to remind customers of their spend.